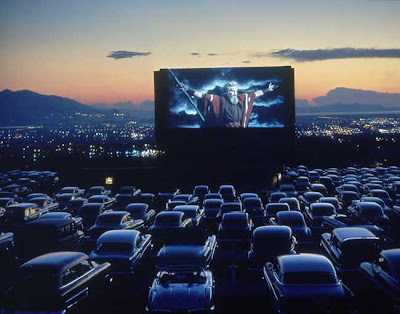 I have never been to a drive-in before, but have always wanted to experience one. The first one opened in 1933 and was quite popular in the 1950s and 1960s. Since their peak of about 4,000 drive-in theaters nationwide, they have been facing a steady decline with only about 357 as of last count this year. Now they're all being threaten as studios look to get away from 35mm film and switch to all Digital. The cost for a digital projector would cost a theater a minimum of $70,000, not including additional upgrades to accommodate the new projector. Honda, the automaker, is looking to lend a helping hand to five drive-in theaters through their Project Drive-In. Through this project they're bringing awareness to the plight of such theaters hoping to raise funds for them. 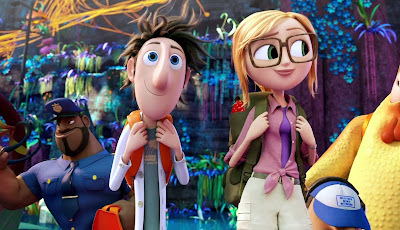 On their website you can vote for your favorite drive-in theater and the top five will not only get new digital projectors but along with Sony host a special screening of Cloudy with a Chance of Meatballs 2 before it's national release. No word if it will be a paid screening or a free screening. Looking at the map on their website, unfortunately the closest drive-in theater to New York City is just over a 100 miles away in Lehighton, PA, the Mahoning Drive-In. Voting began August 9th and will end September 9th with the winners announced shortly afterwards. Have you ever been to a drive-in theater before?